These great clients heard of The Billington Partnership through Nappyvalley.com, a very popular networking site in South London. 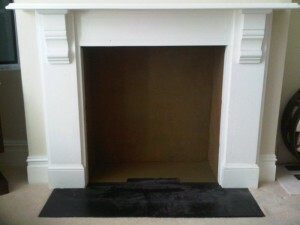 The clients already had an existing painted slate mantel in the living room including a cast iron hob grate. 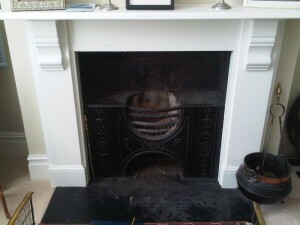 Our brief was to install a smoke exempt wood burning stove within their existing mantel. First, we shared a wide selection of options with the client. This helped the client make a decision and they chose the Barrington 6kw ivory stove from Chesney’s. This particular stove has an elegant refined appearance, and draws its inspiration from the delicate interiors and fine furniture of Barrington Hall, a neo-classical mansion owned by the National Trust. 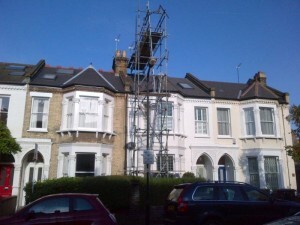 Our initial job was to clear out the chamber and then to install a liner using the erected scaffolding shown in the images. 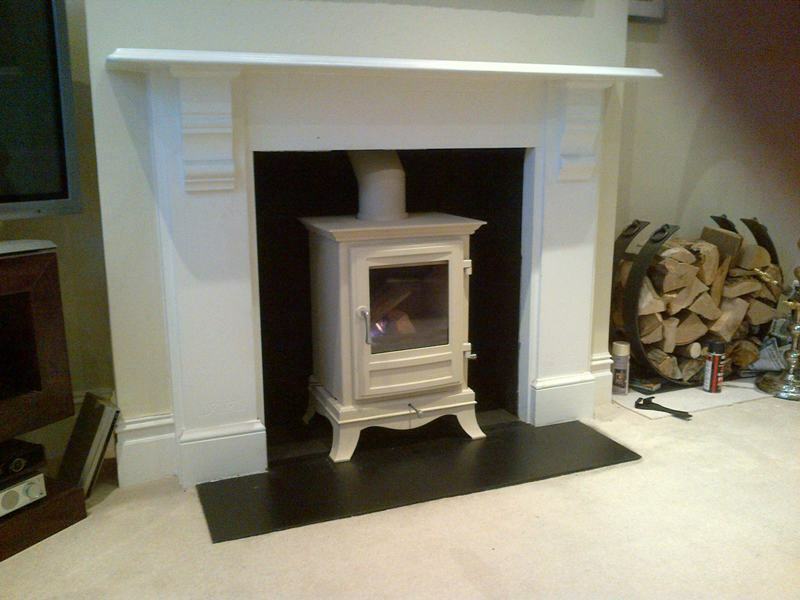 Finally, we fitted the Barrington 6kw stove into the existing mantel without any problems. If you would like a stove installed in your home, please contact us for a no obligation free quote.